EARLY BIRD IS BACK! Save $10 on each ticket when you buy before Memorial Day. 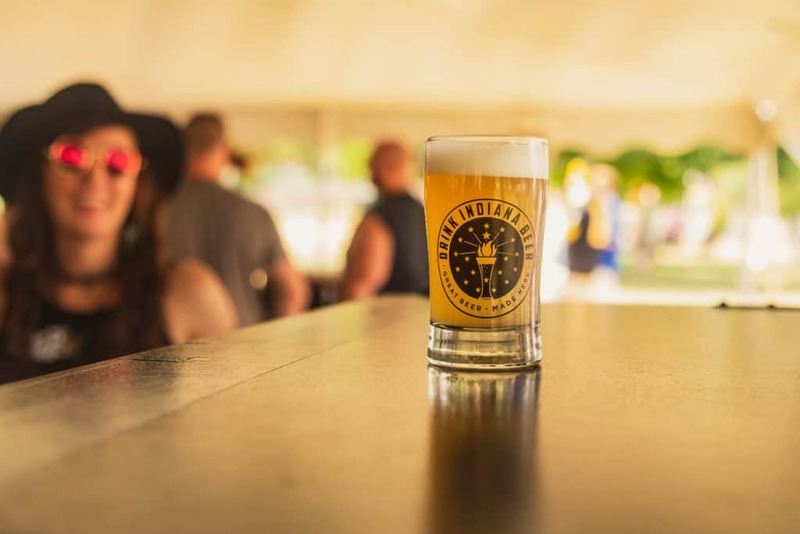 Join the nonprofit Brewers of Indiana Guild for its 24th annual summer fundraiser, Indiana Microbrewers Festival, on Saturday, July 27, 2019 from 2:00 – 6:00 p.m. at Historic Military Park at White River State Park in downtown Indianapolis to sample from hundreds of beers brewed by 100+ Hoosier breweries and guests while enjoying local food, shopping, games, and more. EARLY BIRD IS BACK! Starting at 1:00 p.m., enjoy your choice of beers an hour earlier than the GA crowd. Even better? Save $10 on each Early Bird ticket through Memorial Day. See last year’s pics in the Facebook album, check out #INBeerFest on Instagram and Twitter, RSVP on the official Facebook event page, and stay tuned for more info. And don’t miss Bloomington Craft Beer Festival (4/20), Columbus Craft Beer Fest (5/18), and Broad Ripple Beer Fest (10/12)!